The digital film revolution has changed the way we take pictures, from movies to television to personal use. It’s no different when it comes to getting digital x-rays taken while at the dental office. Accuracy, speed, and safety are all improved with the ability to go digital. In addition to regular brushing and flossing, good oral health depends on gathering as much information as possible during a visit. Digital x-rays allow dental practices to gather more accurate diagnostic information than ever before. With this information, we can help patients make more informed decisions about their dental care. While traditional radiographic film continued to improve throughout the years, it doesn’t compare to the versatility, clarity, and consistency of digital radiography. By using digital radiography, dentists are able to see more detail and gather more diagnostic information. This is the best way to catch small problems before they turn into bigger issues. Images can also be enhanced so they are more diagnostic. With the ability to make electronic copies, dentists are able to call up x-rays up on a computer screen. From there, the images can be magnified, allowing dentists to pinpoint problems. With more precise information, dental care decisions can be made with more certainty than ever before. We understand no one likes being left alone in the dentist chair. Using digital x-rays is one way the industry is improving the dental experience. Instead of waiting for 10 or 15 minutes (or longer) for the film to develop, dentists now get results almost immediately. This means we can talk about the results sooner, plan a course for preventative care faster, and send you on your way more quickly. Digital images can help expedite processing of insurance as well. Instead of mailing results, digital copies can be sent much faster to insurance companies, which may expedite claims. With digital x-rays, the amount of radiation to which patients are exposed can be reduced up to 95% as compared to more traditional radiographic films. This results in a much quicker, detailed image, with less exposure to the patient. The use of digital radiography is also more environmentally sound as it eliminates the need for the chemicals that were used to process the old film images. This eliminates a potential hazard to those working around those chemicals as well as the environment. 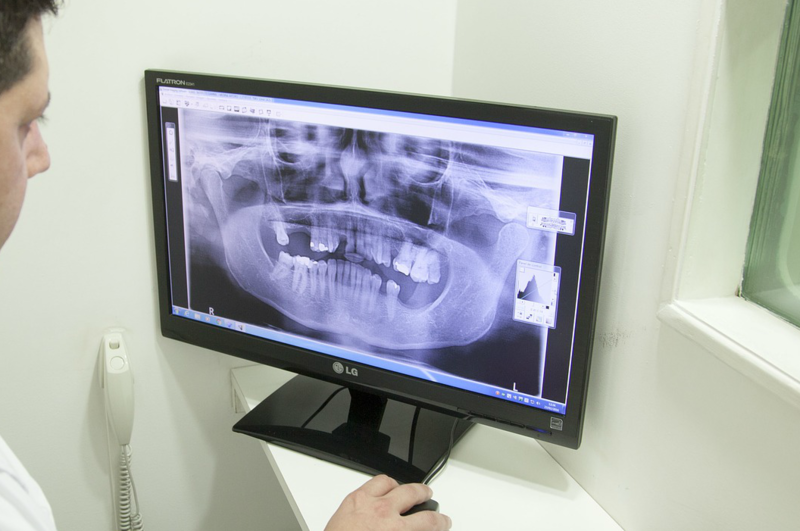 Dental x-rays are a vitally important part of a thorough dental examination, allowing dentists to spot problems or potential problems that might otherwise not be visible. With our state-of-the-art digital, Creekside Dental is able to get the visual data we need to make informed decisions. And we’ll be able to do it faster, safer, and with more clarity. Along with digital x-rays, Creekside Dental also offers hygienic, restorative, and cosmetic dentistry. We’ve been serving families in the Vancouver area for more than 25 years. If you have a question about our digitals x-rays, or any other general dentistry question, give us a call today.